Summary: Although it originated in eastern European vineyards, zinfandel was brought to American shores by horticulturists with ties to Boston, MA. It was first grown in the New World in a greenhouse in Cambridgeport, MA in 1834. Shortly thereafter in 1848, gold was discovered near Sutter’s Mill in the foothills of California’s Sierra Mountains. Boston became an important hub for shipping goods to the gold fields and the zinfandel grape soon hitched a ride to California. In the next few years, other gold-seekers found that the soil of the mountain valleys to the south of Sutter’s Mill yielded a different form of riches when they discovered that grapes thrived in the warm valley temperatures and thin sandy volcanic soils. 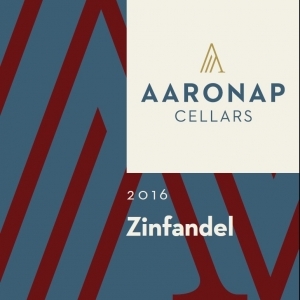 Today, the Shenandoah Valley region of Amador County is renowned for its flavorful zinfandel grapes. We add a splash of Petite Sirah and Mourvedure to create a rich tasting, highly aromatic, and enjoyable wine. Aromatic notes of black cherry, blackberry, vanilla, white flowers, and nutmeg partner with a fine tannin structure and broad mouthfeel that seductively teases your taste buds. A wine made to pair with slow-smoked meats during a summer cookout, a hearty tomato pasta, rich braised pork shank on a chilly winter’s evening, or Thanksgiving dinner! Aging Protocol: 12 months in old American oak oak. Bottled aged for an additional 3 months.